Our vision is that Queensland children and young people are cared for, protected, safe and able to reach their full potential. We are the Queensland Government's lead agency for child safety and adoption services. We focus on safety, belonging and wellbeing and support the delivery of services to build families’ capacity to care for and nurture their children. We administer the Child Protection Act 1999 and the Adoption Act 2009. We work closely with non-government and government partners in the delivery of child protection services across Queensland. We also ensure that families across Queensland can access help before issues escalate through services such as Family and Child Connect and Intensive Family Support. This network of family support ensures parents and carers can get help early and build the skills and resilience they need for their children and families to thrive. We employ a range of people to assist us in providing child safety services, including Child Safety Officers, Cultural Practice Advisors and Senior Practitioners, who have experience in working with children, young people and families. We value: family and community connection; participation; partnership; cultural integrity; strengths and solutions; fairness; and curiosity and learning. Making sure children and young people are safe is our key responsibility. We know that caring for children and young people, keeping them safe and helping them to be the best that they can be is a big job and no one can do it on their own. When someone makes a report that a child or young person has been significantly harmed or is at risk of significant harm, and does not have a parent able and willing to protect them from that harm, we have a responsibility to investigate and assess. To increase safety we partner with the Queensland Police and other government and non-government agencies to identify the needs of children, young people and their families. We support parents and families in their important job of caring for their children at home. Where parents and families cannot safely care for children, we look to how the child or young person’s safety, belonging and wellbeing needs are best met. The 5 elements of the Child Placement Principle—Prevention, Partnership, Placement, Participation and Connection—guide our work with Aboriginal and Torres Strait Islander families, and we always focus on what is in the best interests of children and young people. We are dedicated to protecting children and young people who have been harmed or are at risk of harm. Every day, thousands of Queenslanders confirm their commitment to protecting Queensland’s vulnerable children by being a foster or kinship carer. Adoption is a way to provide a permanent family for children who cannot live with their birth family. The Queensland Government has outlined its reform agenda for supporting Queensland families and keeping children safe. 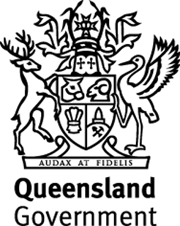 The Queensland Government response to the Royal Commission was tabled by the Premier in Parliament on 15 June 2018. As the NDIS transition progresses in each region, new processes and relationships are being established between the NDIA and Queensland Government services, including our department. Find out about the performance of the Queensland child protection system. The Child Safety Practice Manual provides a comprehensive set of procedures that guide and inform the delivery of child protection services in Queensland. Access historical publications around child and family issues. The Queensland Government will join the National Redress Scheme for people who have experienced institutional child sexual abuse. Find out more.